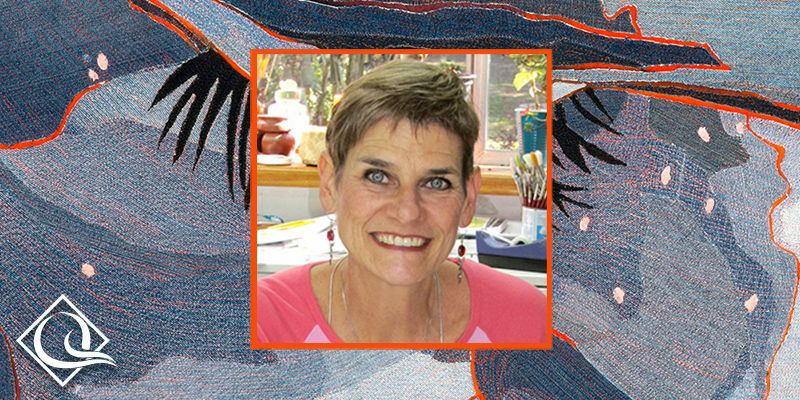 Tula Pink is an illustrator, fabric designer, quilter, and author. 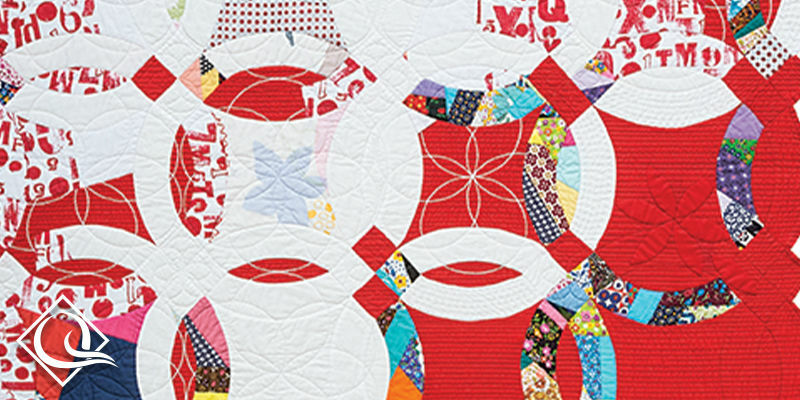 She explores new ideas and techniques in this collection of creative, unique, and original quilts. 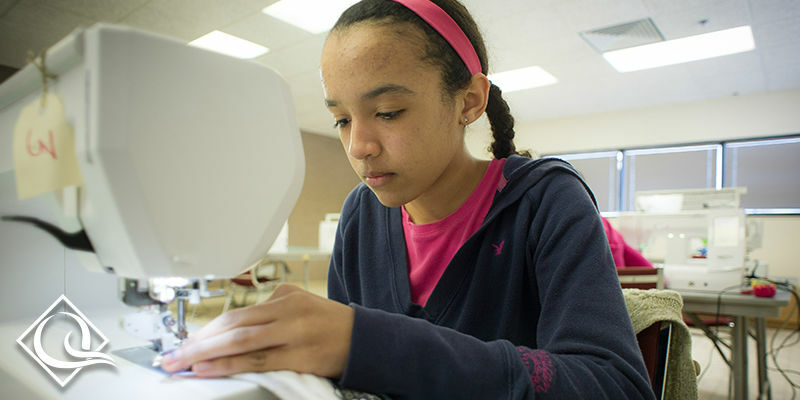 Tula’s main function in life is fabric design. 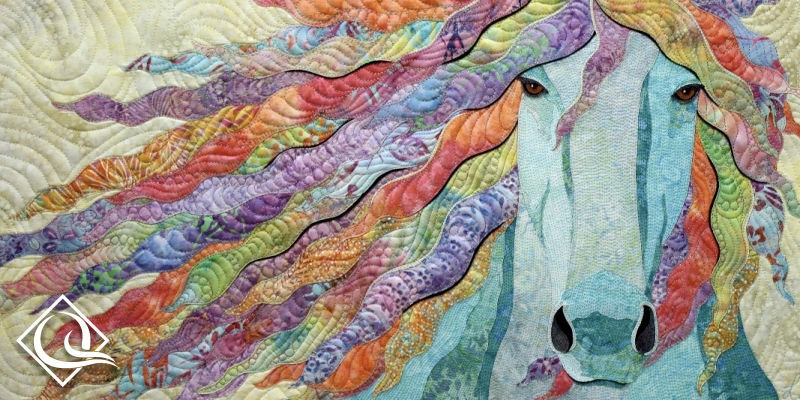 Her signature designs have been adapted to fabrics, woven ribbons, paper products, needlepoint kits, embroidery patterns and sewing machines and can be found in independent fabric shops and retailers all over the world. 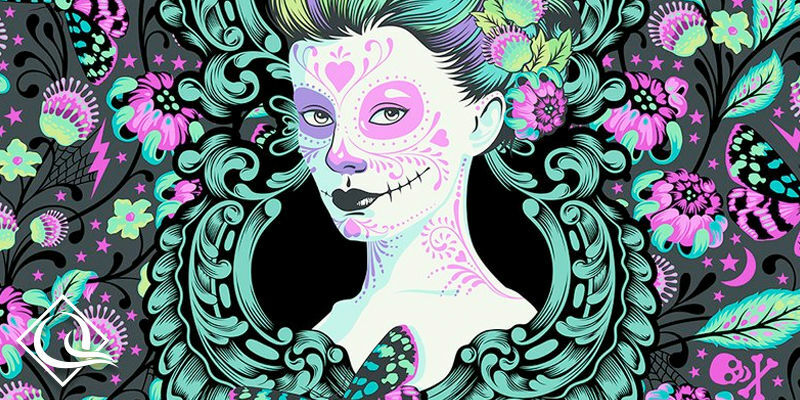 Tula is most recognized in her industries for her dark sense of humor, a flair for hiding animals in the strangest of places (artistically, not literally) and her boldly unique use of color and pattern. Tula comes from the “more is more” school of design where there is never enough space and always room for that one last thing. 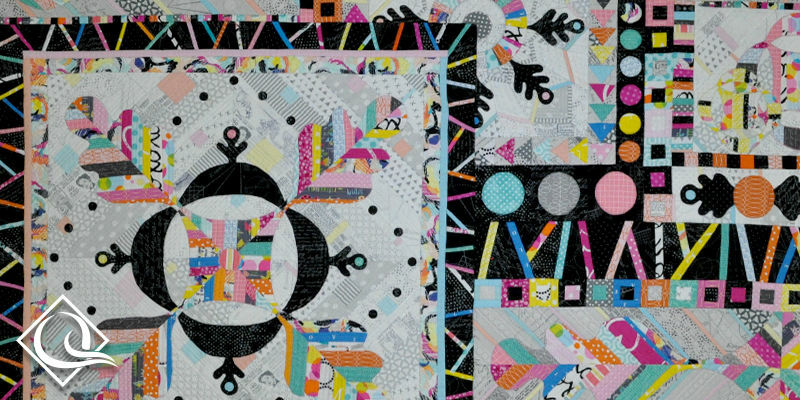 Victoria Findlay Wolfe always known she’d become some kind of artist but to her surprise QUILTS became her greatest passion. 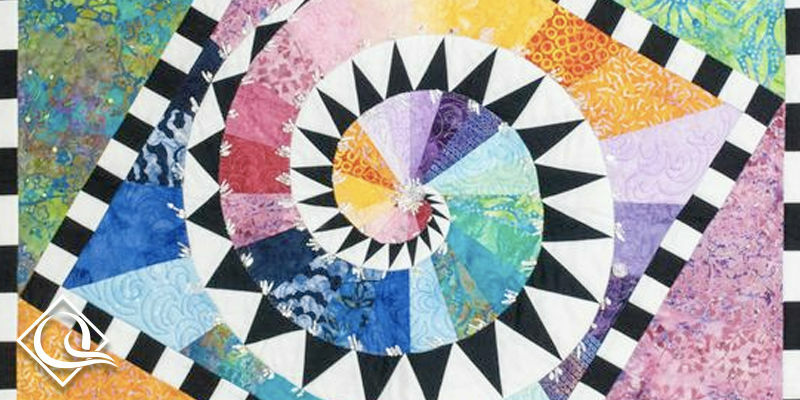 As she grew up, she was transported into the world of color by the color in her grandmother’s crazy quilts. 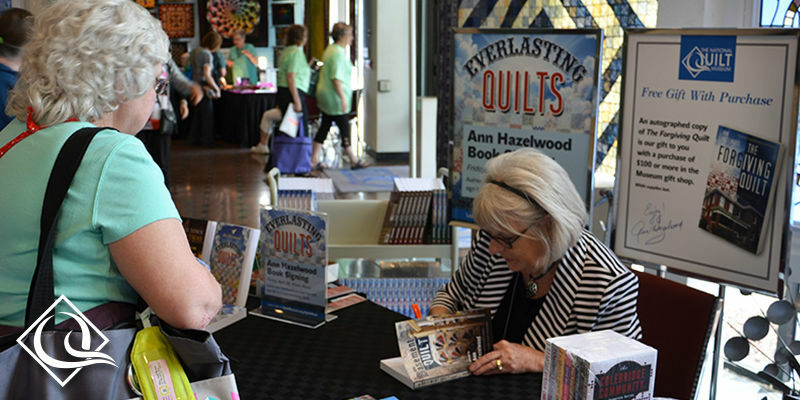 Victoria has written several books of quilt designs and teaches throughout the country. 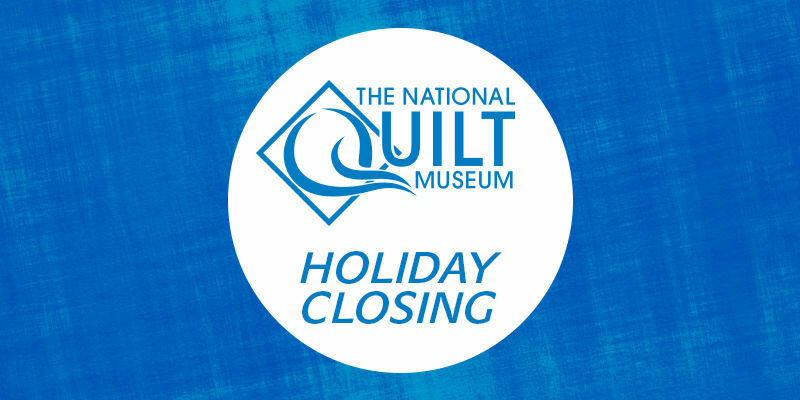 This retrospective features quilts spanning the artist’s entire career. Danny is internationally recognized for his unique artistry and amazing use of color. 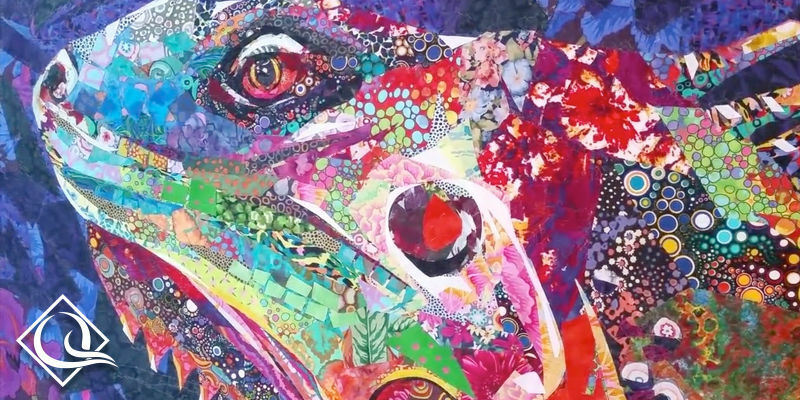 His eye-catching artwork incorporates thousands of pieces of fabric. Pat transforms cloth into art through hand-painting, surface design techniques, dyeing, and over-dyeing. 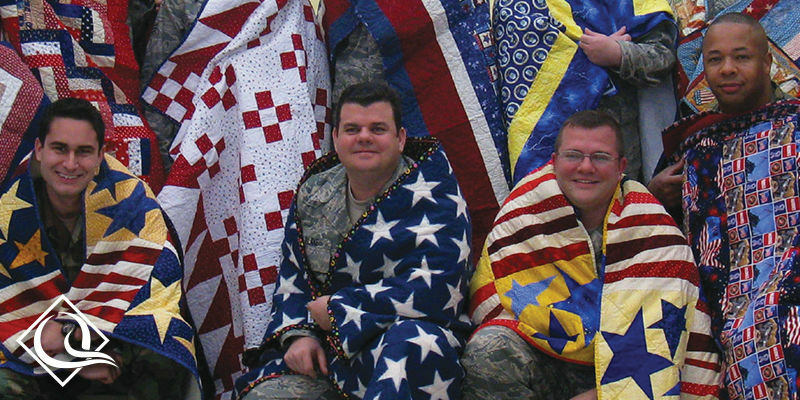 The Quilts of Valor organization honors the dedication and sacrifice of our military. 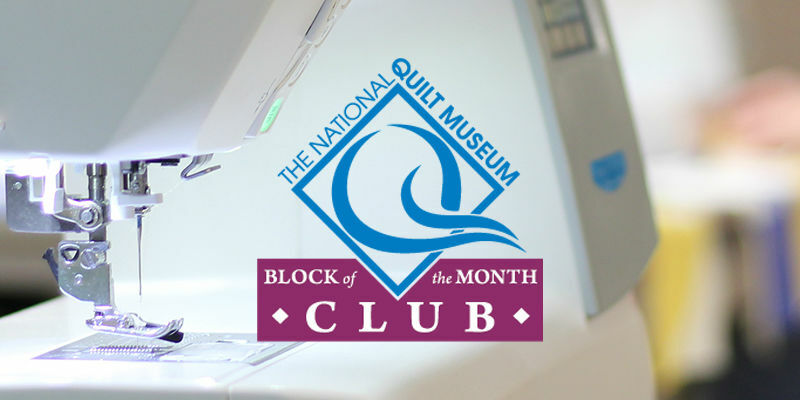 This exhibit displays quilts honoring the men and women who served our country before they are presented to veterans. 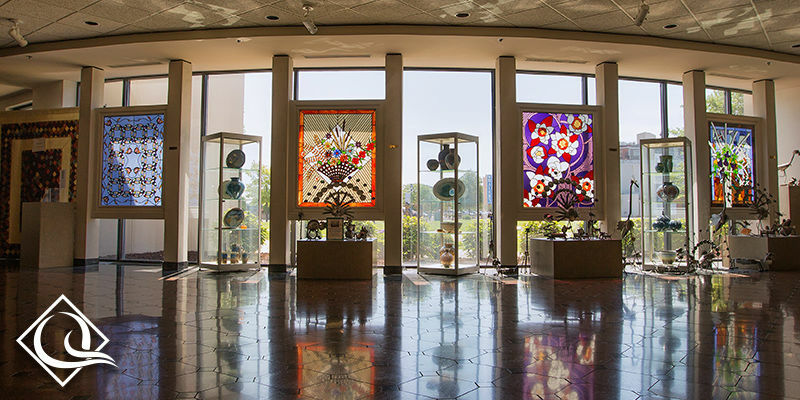 See the unique styles represented by the artists in these two diverse cultures displayed side-by-side. 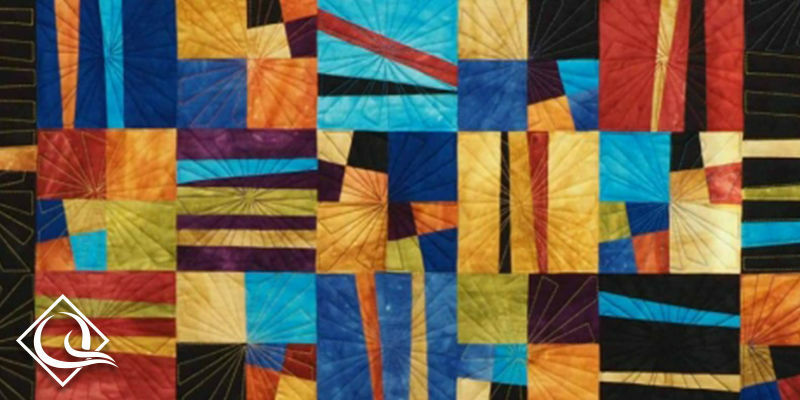 For the past 8 years CQA has been sending art quilts to the Patchwork Design show in Sao Paolo and Rio de Janeria, Brazil to be exhibited side by side with Brazil quilt artists. 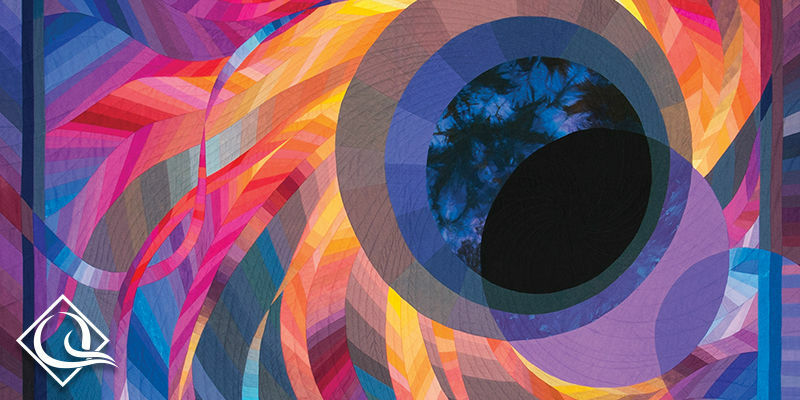 This exhibit gives United States veiwers a chance to see Brazil and US art quilts side by side. 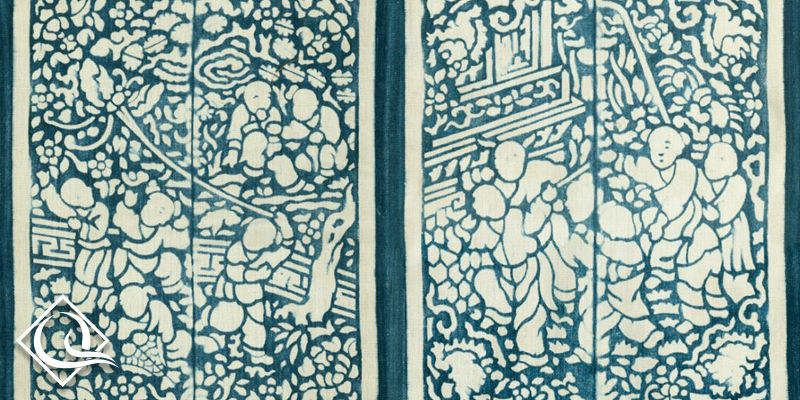 The Brazil artsts over the years explored the abstract with emphasis on adding depth with embellishments. 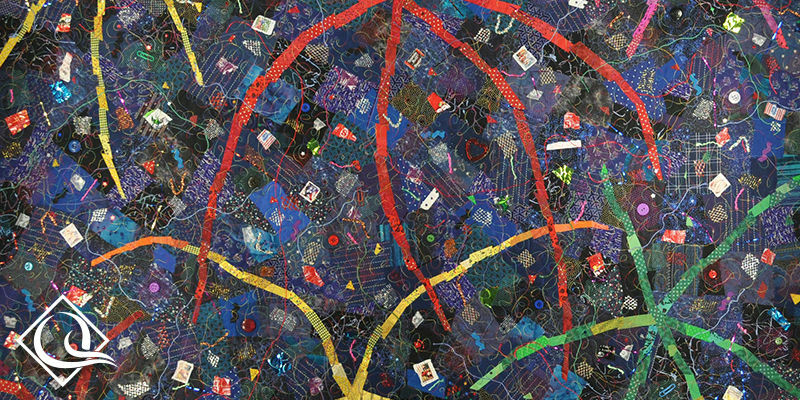 While CQA artists created mainly abstract art quilts in early years, they have started moving towards abstract realism often with very little physical depth. Jane combines rescued vintage needlework pieces and modern techniques to create vibrant collages inspired by paintings from famous artists. 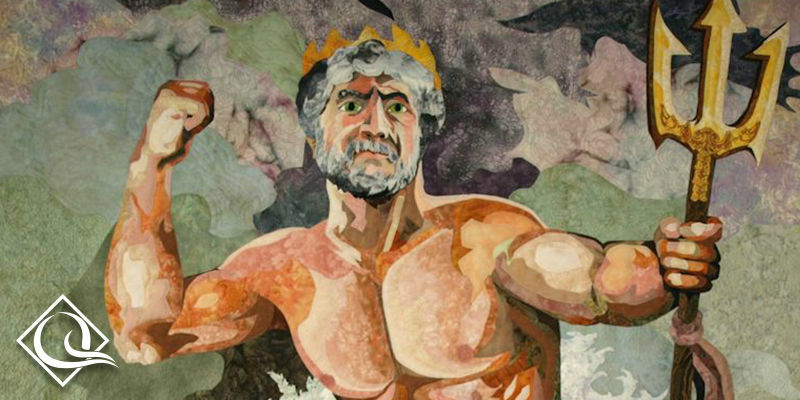 Each piece in the exhibition Inspired by the Masters is a complex combination of rescued vintage needlework pieces, including needlepoint, quilt blocks, Crewel embroidery, and punch needlework. 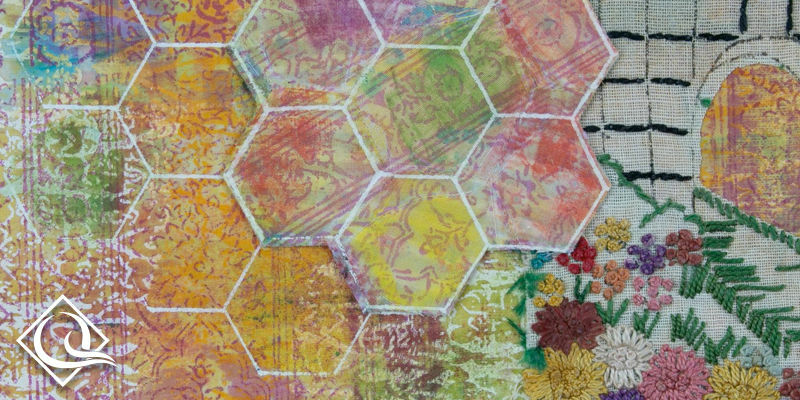 The vintage pieces are collaged with hand dyed and printed fabrics, many of which were created to match or mimic the patterns of the original needlework. Each is backed with industrial Eco-felt and machine stitched/quilted. 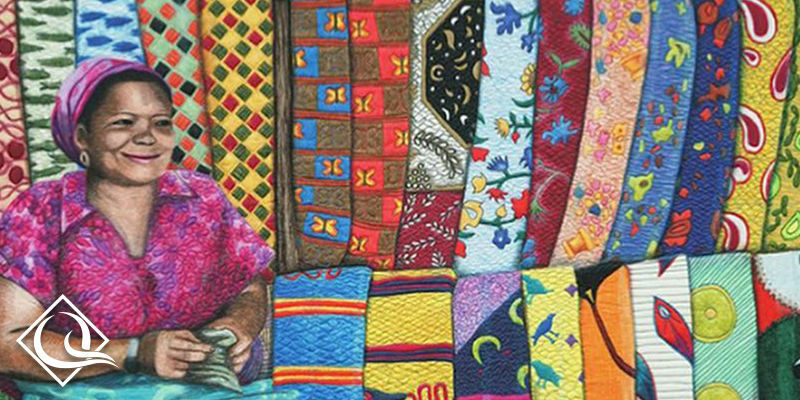 Inspirations ranged from Matisse still life paintings, to the work of Frida Kahlo and Mary Cassatt; each intertwined with my experiences of vibrant color and pattern discovered on teaching travels around the world. 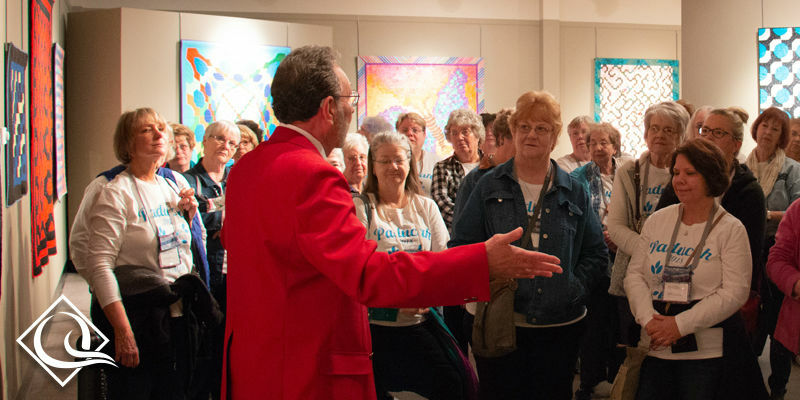 Interested in showing your exhibit? Click here for more information.